Each year, St. John's members fill shoe boxes with small gifts, writing utensils, hard candy and bibles that are then sent off to children around the world that otherwise would not receive a gift for Christmas. 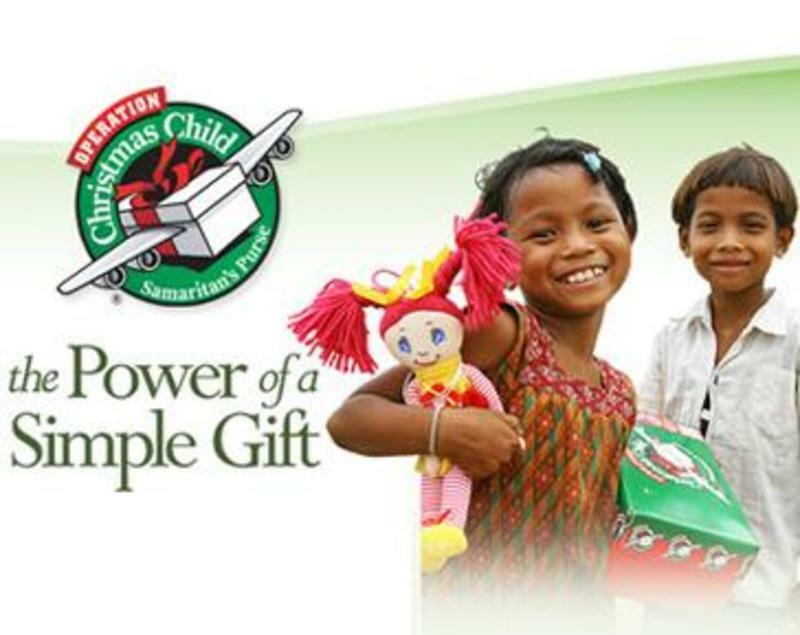 If you would like to fill a shoebox (or 2 or 3 or more), please let the church office know and we will get you in touch with Jo Jones, the leader of this wonderful ministry. It's never too early to shop for items to fill your shoebox. Grab items at the store when you see them all throughout the year and before you know it you'll have enough toys and such to fill more than one box.This is such a rewarding ministry to join in on and brings such blessings to all involved.